I thought I was being pretty savvy snapping up some tortoiseshell-buckled, checked, paperbag-waist pants from Mango for £50. Damn pleased with myself when that order went through, thinking that many other girls would bypass them for their slightly 1980s, blown-out proportion in favour of a slimmer fit. How wrong I was. 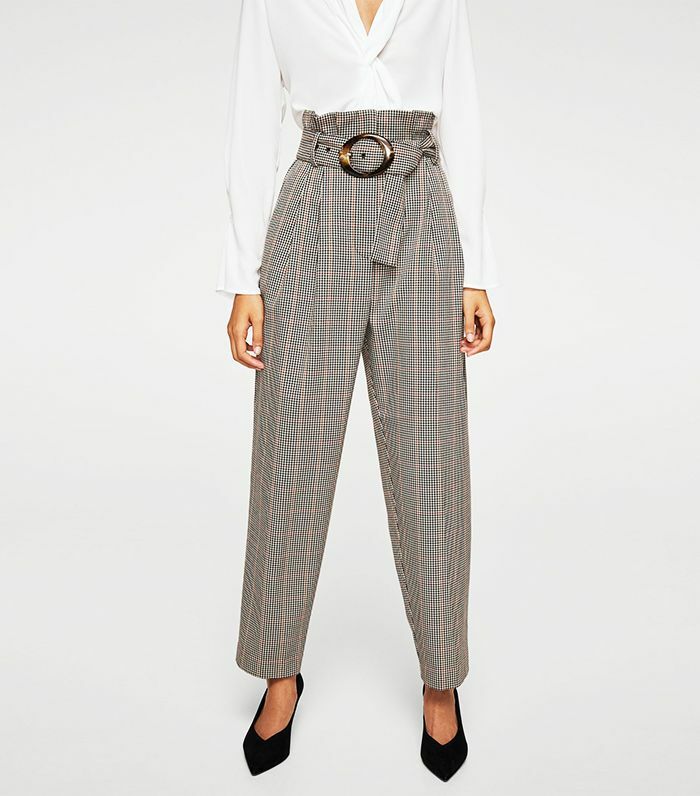 Skip forward a few days and it seems that these tailored houndstooth trousers have been monopolising the #MangoGirls hashtag on Instagram (well, in between sightings of those pink cords), with fashion editors and influencers alike flocking to showcase their bargain autumn buy. I'm apparently not alone in my love for affordable checked trousers, whether they come from Mango or not. Only this week did Gigi Hadid wear a £20 pair from H&M. Elsewhere, Topshop has seen its checked trousers on the legs on fashion week attendees, with many girls taking the look from head-to-toe and buying the matching blazers from each store. Did you expect anything less when suiting is so high up on the A/W 17 agenda? For those of you who haven't yet invested and now feel entirely justified to do so (seriously, these trousers elicit compliments and are so damn comfy), you'll be pleased to know there are still plenty of sizes left. Keep reading to see and shop the Insta-famous trousers. Next up, the best winter coats to invest in now.